PS3 - a VOD opportunity? Sky's Director of OnDemand, Griff Parry, has told TechRadar that the company is already looking to utilise people's games consoles to bring the best programmes to their televisions via the internet. "Currently consoles like the PlayStation 3 won't play the Sky Player because of the way we protect the content [through Microsoft's Silverlight]; so the PS3 wouldn't be able to cope with the DRM," said Parry as he showed off the new streaming live channels on Sky Player. "However, I think games consoles are an interesting opportunity and it is something that we are exploring. 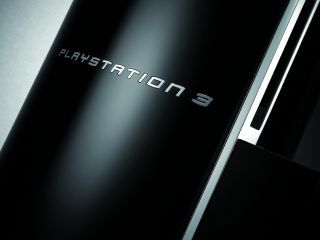 "We have a relationship with PlayStation because we launched the PSP service (GoView) so I look at consoles, and there are a lot of them, and they are obviously connected to televisions and the internet," concludes Parry. Sky Player currently streams at up to 1.8Mbps – an experience that Parry describes as 'close to SD quality' adding: "It's not like for like so it's difficult to directly compare." Of course, running from a console, or a laptop for that matter, to a television puts that quality to the test – and it remains to be seen what the reaction will be from those who like to stream to their big screen. But with the satellite platform far from ideal in a world that is increasingly becoming aware of video on demand, the move into the internet represents a key move from Sky to becoming a content provider and aggregator rather than a satellite service.